Mozilla has launched the Firefox for Windows 8 Touch beta, packing in several new features, probably lots of new bugs, and a revamped UI experience. To make the new browser fit in with Microsoft's desktop-free direction, Mozilla has slapped on some tile menus, including a new start screen, so it doesn't seem out of place on a Windows 8 tablet. Other features include the ability to view the app in bog standard fullscreen, or snapped to the side or filling the rest of the screen not already occupied – you know, for the snazzier tablet enthusiasts. Mozilla has also integrated Windows Share, so users can more easily inundate their friends with whatever they're currently doing on the web. 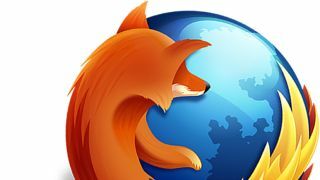 Firefox is continuing to lose market share, according to the latest figures by Net Applications. It dropped from 18.35 per cent in December to 18.08 in January, while Chrome nibbled off a tiny chunk more by growing from 16.22 per cent to 16.28 per cent. Internet Explorer, however, is making something of a comeback, jumping from 57.91 per cent to 58.21 per cent. Whether or not a touch-friendly version of Firefox for Windows 8 tablets helps Mozilla's market share remains to be seen. The slow Windows 8 adoption may hurt its chances. The beta of the Metro-styled Firefox comes after numerous delays, with a release date set for March. Mozilla is inviting all users of the beta browser to submit any bugs they find and post feedback.